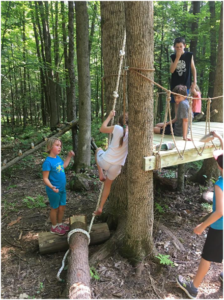 Did you know you can explore the woods around the Maine Lake Science Center on a beautiful loop trail? 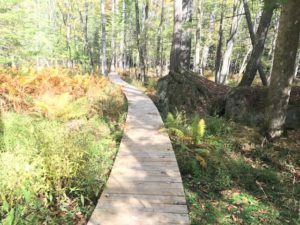 The Pinehaven Trail connects to Pondicherry Park and weaves through old pastureland and a lowland forested swamp along a Bradburian boardwalk (just don’t step on any butterflies!). 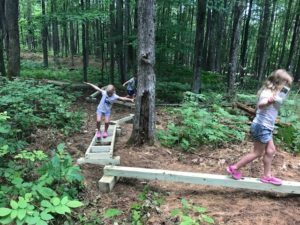 M ary Maxwell and Roy Lambert donated funding to develop and construct a low course elements challenge course and interpretive signs along the trail. Stay tuned for a grand opening of interpretive signs in the spring and summer of 2019!